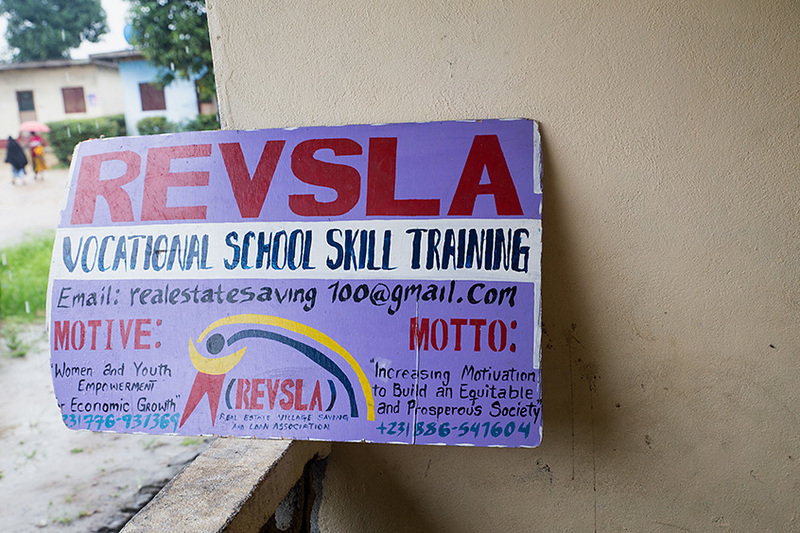 The grant allowed her to expand her project, the Real Estate Village Savings and Loan Association, which provides microloans and skills training to women and young people in her community. Loan recipients have six months to pay back their loans, which most use to start or expand their own small businesses. During the loan period, they are also required to attend financial classes led by Stewart. Stewart is a skilled soap-maker and teaches others to make soap to sell. She used part of the grant to buy four new sewing machines so that women can learn to sew and sell clothes. Jacqueline Clinton used the loan she received from Stewart to expand the inventory in her small store. The proceeds support her and her five children (including her 9-year-old daughter, Moseline, pictured here). She’s open six days a week but takes Sundays off for church. Wandial Annan makes and sells frozen sour milk to neighborhood children and adults. 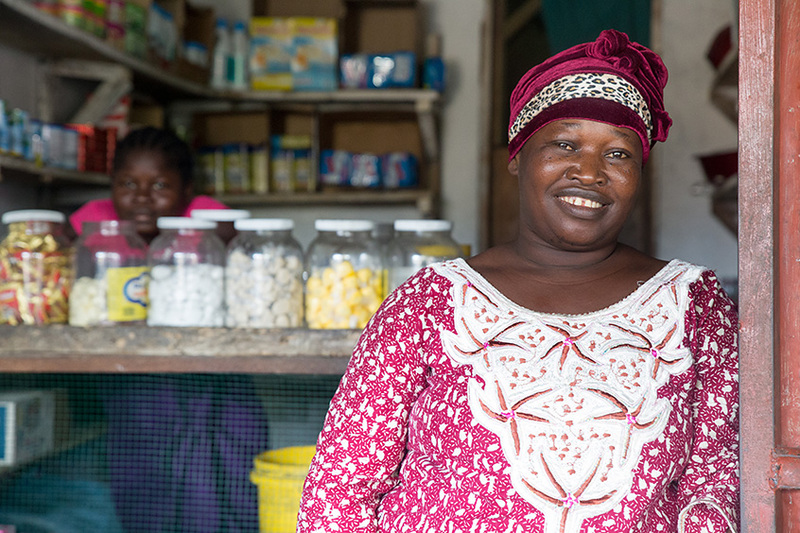 Her loan allowed her to start buying the necessary ingredients in bulk, which has decreased costs and increased profits. In about five months’ time, she saved enough to pay for her children’s school fees for a year. Sometimes, something as simple as a radio message can change lives. 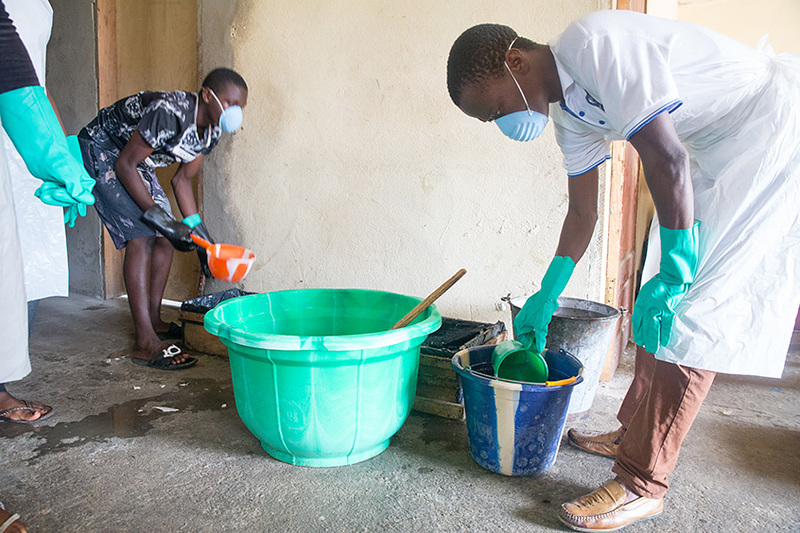 Olivia Stewart, a resident of New Georgia Estate, a mostly low-income community on the outskirts of Liberia’s capital city of Monrovia, was washing up one afternoon in 2015 when she heard a public notice for government grants for projects empowering women and youth. As it happened, she had recently started such a project: a microlending and training program she named The Real Estate Village Savings and Loan Association. But Stewart had attended Carter Center-sponsored workshops for women in her community, during which she’d learned that she has the right to access government information. After one such meeting, she and several other women had filed a freedom of information request to find out where the development money for her district was going, which eventually led to a meeting with her House of Representatives member. Armed with that new confidence, Stewart went to the local Peacebuilding Office and asked how to apply for the grant. She submitted an application, and several months later, learned she was one of 14 grant recipients. The money, the equivalent of about 18,000 U.S. dollars, allowed her to scale up her enterprise, which she’d started with her own money. 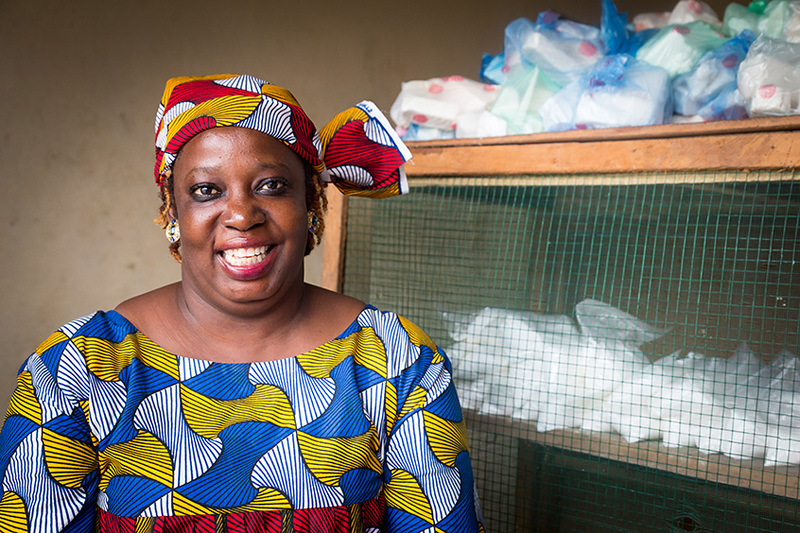 Real Estate Village Savings and Loan Association uses a two-pronged approach to lift women out of poverty: It makes small loans to female entrepreneurs so that they can start or expand their businesses, and it offers training in skills such as soap-making, sewing, baking, and cosmetology. Stewart’s specialty is soap-making. Several times a week, she dons a mask, apron, and gloves, and gives hands-on lessons to young men and women. 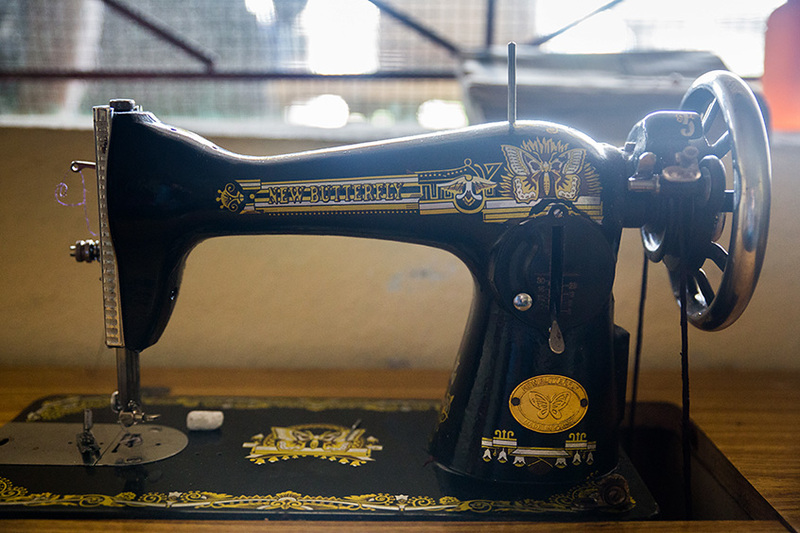 The grant allowed her to buy four sewing machines, soap-making materials, and other necessities for training, not to mention expand the number of loans she makes. So far, about 50 women have received loans. They have six months to pay the loan back, and during that period, they also must attend financial classes organized by Stewart. 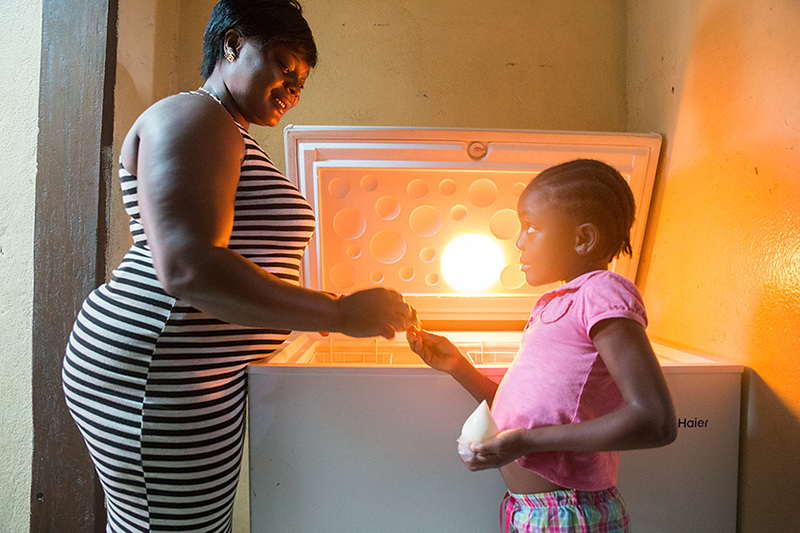 One of the loan recipients is Wandial Annan, who makes and sells frozen sour milk, a refreshing treat in Liberia’s relentless heat. It takes her about 12 hours to make a batch, not counting the process of divvying it up into individual baggies. She sells a small bag for less than 8 cents, large bags for 15. 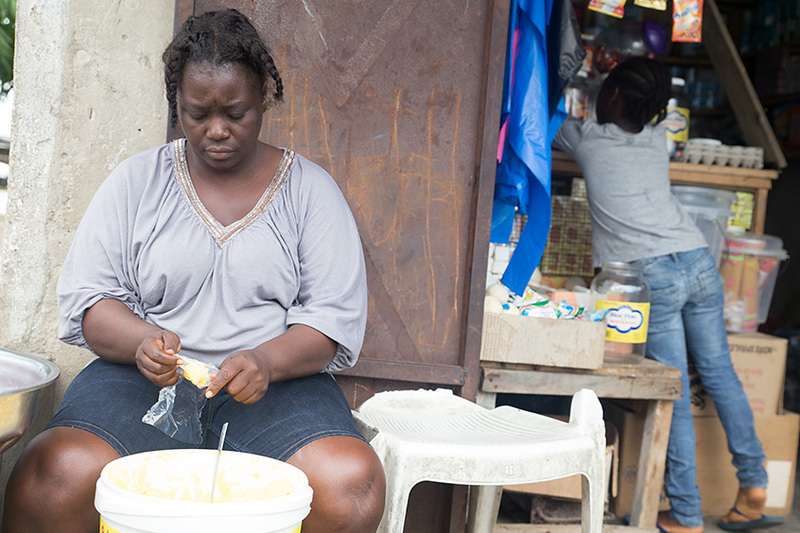 Since she got the loan, she’s been able to buy wholesale, which reduces her costs. 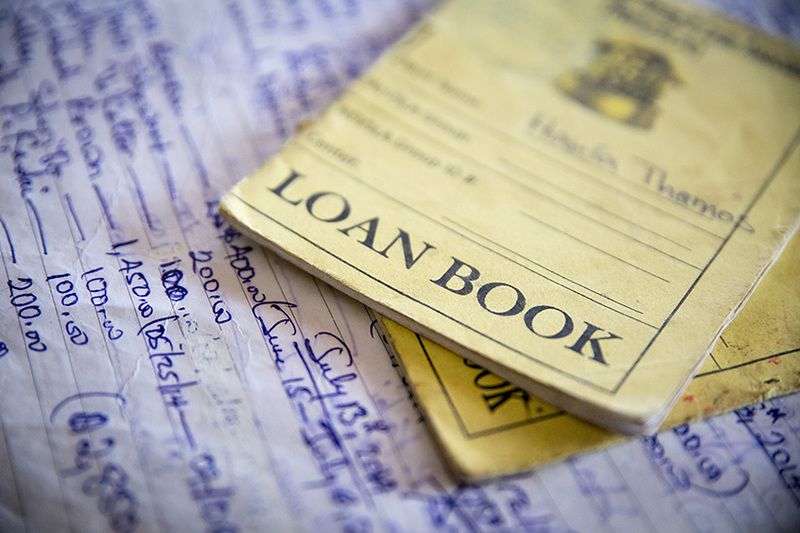 In five months, she saved between US$50 and US$60 – after her loan repayments and expenses. The profits covered her children’s school fees for a year. Stewart’s efforts have had a ripple effect: The Carter Center’s access to information program also works in a community called Kamara Town, about an hour’s drive from Stewart’s home. When a Carter Center information liaison told the women there about what Stewart was doing, they wanted in. They arranged for Stewart to give them soap-making lessons and then pooled their money to buy supplies. The project is still in its infancy, but they are optimistic that it will generate sorely needed income. For Cerue Konah Garlo, coordinator of the Carter Center’s women and access to information efforts in Liberia, Stewart’s story represents a twofold success. And that information has turned out to be invaluable for the women of New Georgia Estate and Kamara Town. Liberia’s access to information for women projects are funded in part by Irish Aid.